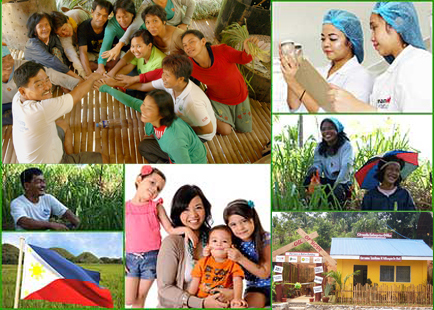 Being faithful stewards of our God-given talents and natural resources, we will give the best of ourselves to urgently and sustainably build a global company which will showcase the best of the Philippines and uplift all our people, especially the poor through providing affordable, quality, natural products. We will be the gold standard of a globally successful enterprise with a heart that will embolden all businesses to better serve society. We seek to help developing countries grow in a responsible and sustainable way, leaving nobody behind in our globalized society. We focus on addressing poverty head on by providing opportunities and services to the poor that would otherwise not have been available to them, as we keep in mind the great responsibility that comes with our role as social entrepreneurs. We commit to making business decisions and processes that are deliberately put in place to make minimal impact on the environment. Bayanihan is a beautiful Filipino word that translates to “a spirit of communal unity and cooperation.” We promote a culture of collaboration and mutual support.